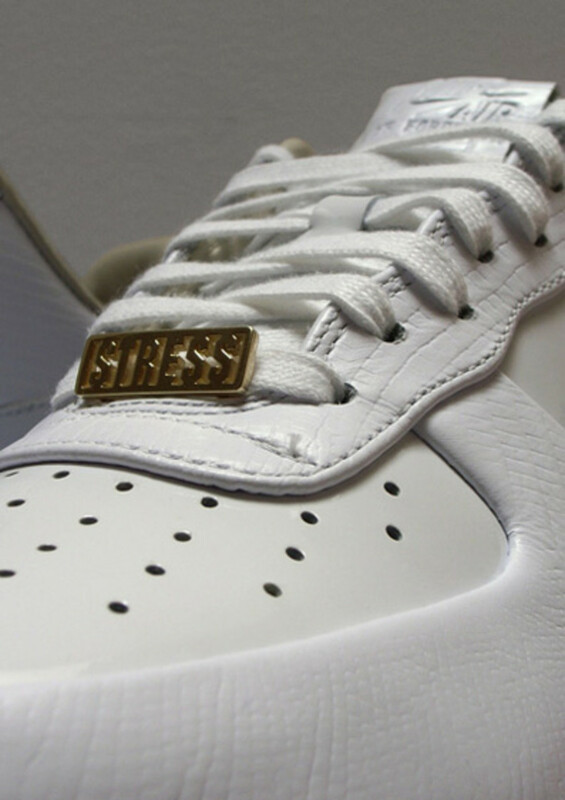 A limited series of Stress Air Force 1 iD, 15 pairs designed by +41, in collaboration with the Swiss rapper "Stress". 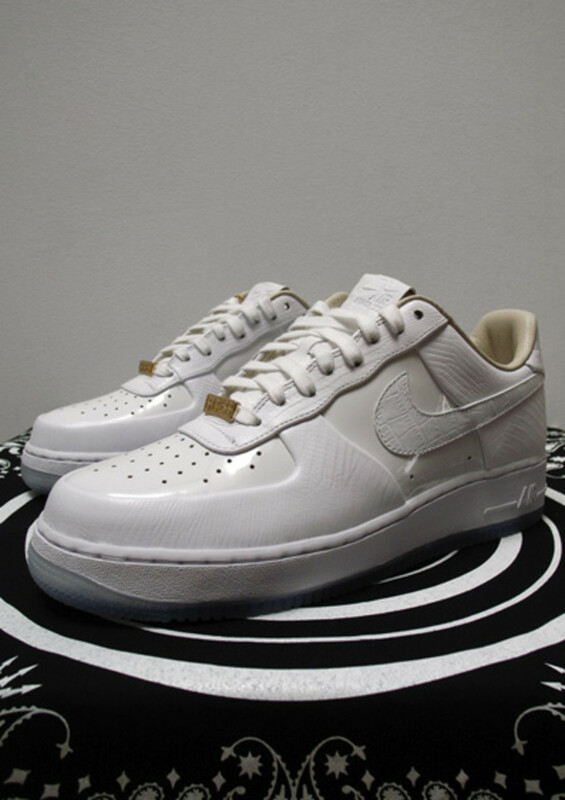 This shoe has been designed in Berlin Nike Spirit Room and were presented the 25th April 07 at the Nike Air Force 1&apos;s 25th Anniversary in Park Hyatt Hotel, Z ¼rich Switzerland. 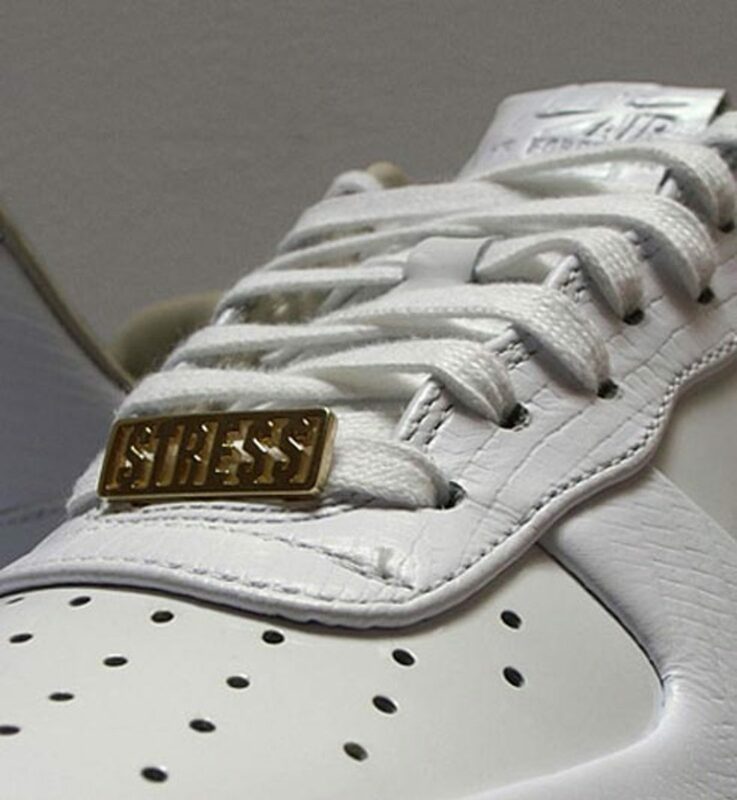 Stress gold (Vermeil: silver plated with gold) Lace Lockers, a bandanna and a printed numbered iD bag was exclusively designed by +41 to complete the package. 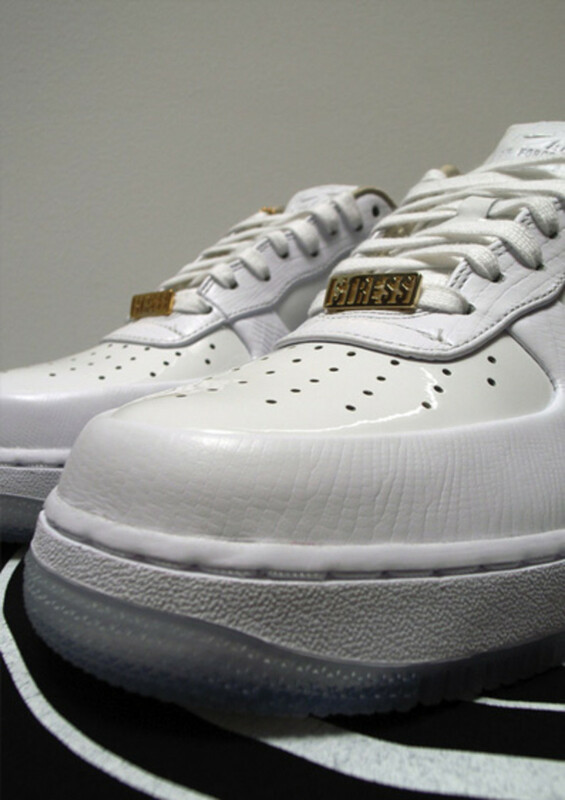 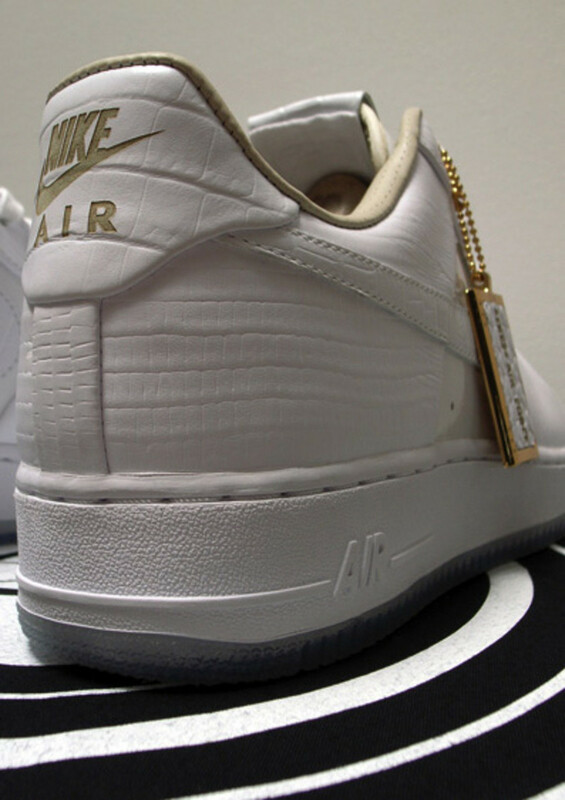 Stress AF1 iDs will be auctioned for a good cause. 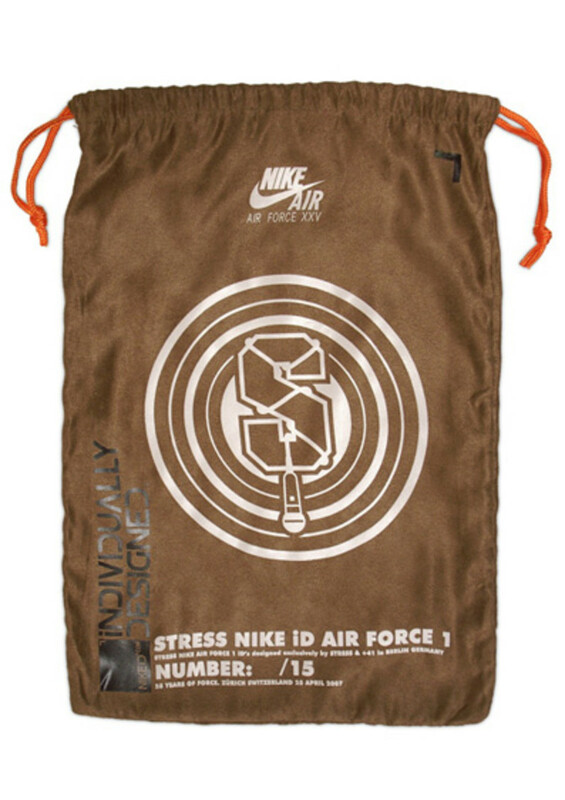 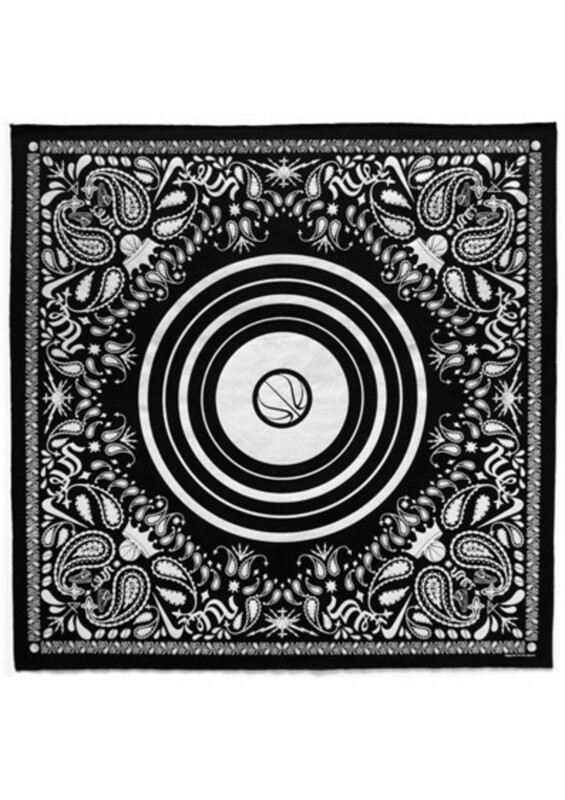 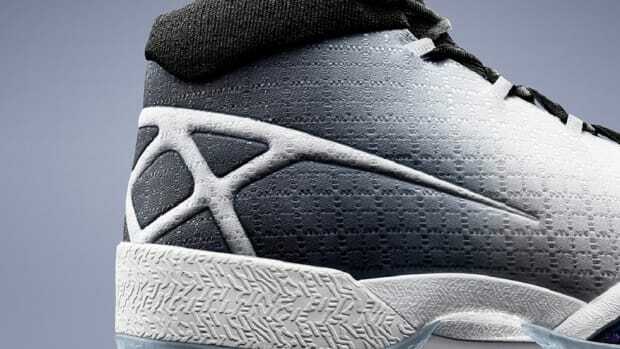 Auction&apos;s date will be announced on Stress and +41&apos;s websites.